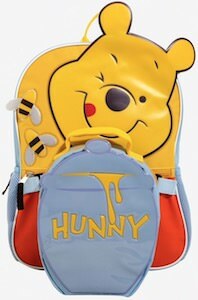 Now anyone the loves bears and hunny can enjoy this Disney Winnie the Pooh backpack with lunch box. 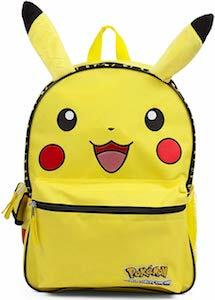 The Winnie the Pooh backpack has a mesh side pocket for an apple or water bottle and there are adjustable straps too. 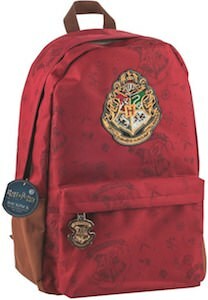 But more importantly the backpack shows The face of Winnie the Pooh and some bees flying around him while he is staring at the lunch box that looks like a pot of hunny. 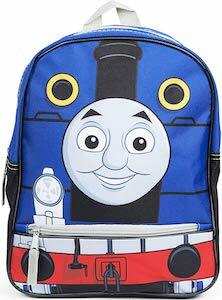 And the Winnie the Pooh lunch box loops to the backpack so that it is easy to remove when lunch time comes. 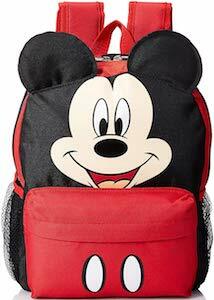 The Disney backpack is great for back to school and other adventures. 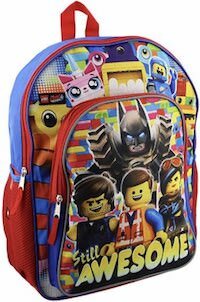 If you are looking for an amazing PAW Patrol Chase backpack then this is what you need. 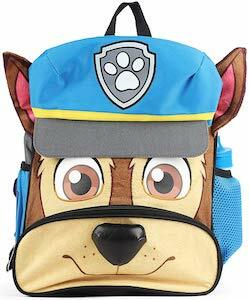 The PAW Patrol backpack looks like it you have the head of Chase on your back. Chase even has it’s ears and mesh pockets on the side and in one of those pockets you will find the included water bottle. 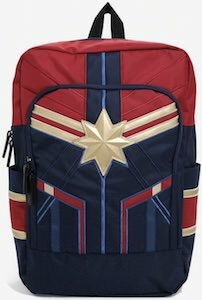 The Chase backpack is 12 x 10 x 3 inches making it great for school and play and the padded adjustable straps will make it easy to carry. 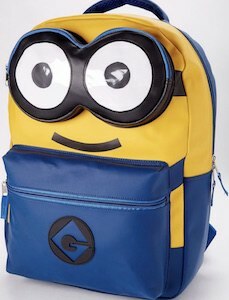 I am sure the kids will love to have this puppy backpack as it really looks amazing. 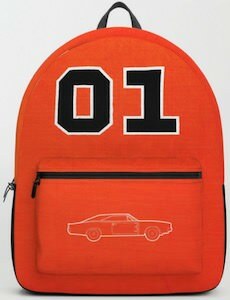 If you like the Dukes Of Hazzard and are number 1 then you should check out this Dukes Of Hazzard General Lee backpack. The Dukes Of Hazzard backpack is orange on the front and black on the back and on the front it has a line drawing of General Lee on the outside pocket and then on top of that in big numbers it says “01” just like on the doors of General Lee the famous car that we have seen do things we just wished our cars would survive. The General Lee backpack is 17.75 x 12.25 x 5.75 inches and is big enough to hold a 15 inch laptop and that makes it perfect for school and work.